Please refer to our stock # NEO-002 when inquiring. 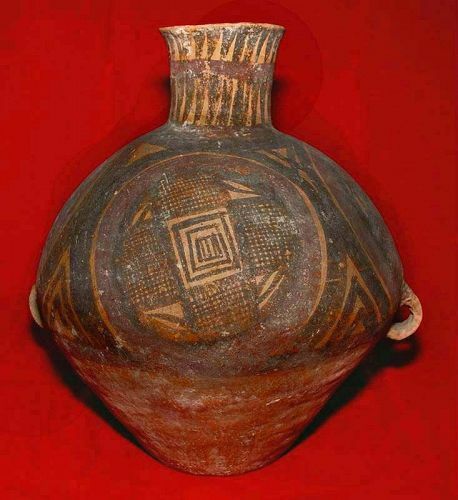 A rare and authentic neolithic vase with a series of progressive painting of squares ending with four squares on the last panel. Age: 3500-2200 BC. Size: H. 31cm. W. 25cm. Condition: Very good except for a small repair at the mouth of the vase. See photo eleven.